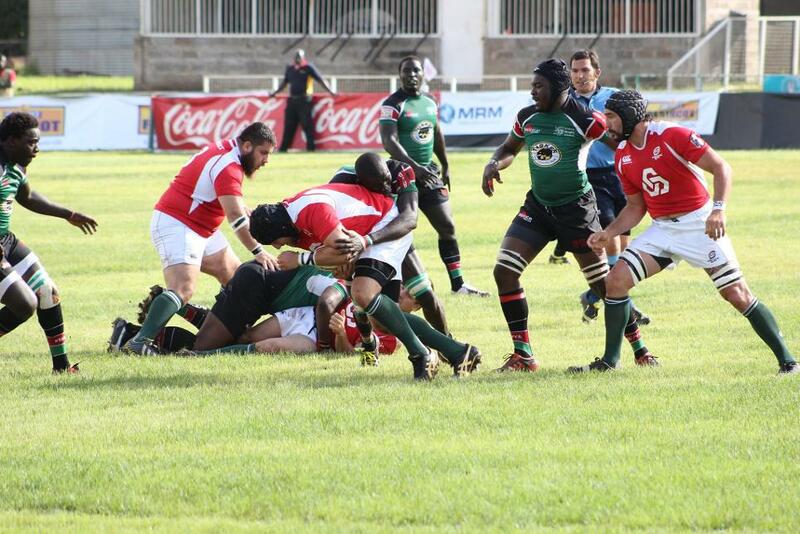 Kenya climbed to a new high in the World Rugby Rankings after a 41-15 win against Portugal in Nairobi on Saturday. The Simbas totally dominated the first test between the nations, running in five tries to two in an impressive performance that earned them a three-place rise in the World Rugby Rankings. Debutant full-back Samuel Oliech touched down twice at the RFUEA Ground, while captain and blindside flanker Brian Nyikuli and centres Fabian Olando and Kelvin Omoyi grabbed one apiece. Full-back Antonio Ferrador and tight-head prop Tony Martins scored a try each for Portugal, who could have few complaints about the result. Ranked nine places lower than Portugal prior to kick-off, Kenya closed the gap to just one after a gain of 1.67 rankings points moved them up from 32nd to 29th in the world. Portugal have never been lower than their current position of 28th, Chile, Hong Kong, Korea, Belgium and Zimbabwe all improving their ranking by one place as a result of the Iberian team’s fall. The Netherlands rounded off their European Nations Cup Division 1B campaign with a 24-14 victory against bottom-of-the-table Sweden in Amsterdam. The victory stretched their winning run against Sweden since tests between the nations began in 1979 to 13 games, and came with a 0.15 of a ranking point gain. The Dutch remain in 33rd place in the rankings, though, 1.83 points adrift of Moldova. Sweden also stay put, in 50th place, despite enduring a winless ENC Division 1B campaign. Uzbekistan turned the tables on India in Division 3 (South and Central) of the Asia Rugby Championship 2015 to move up from 90th to 86th place in the rankings. Having been beaten 31-8 by their higher-ranked opponents on Wednesday in the first leg of the two-match series in Tashkent, Uzbekistan responded well to the three-day turnaround to win 32-15 in Saturday’s return fixture. India drop five places to 74th after losing virtually two full rankings points. Niger won the Africa Cup Division 2 North title on points difference from Mali. Both sides recorded three straight bonus-point wins but Niger finished on top with a points difference of +130 compared to Mali’s +91 after a 50-15 win over Togo in their concluding fixture. Host nation Burkina Faso finished third, two points behind Niger and Mali after failing to pick up bonus points in two of their three victories. None of the matches in Africa Cup Division 2 North carried rankings points because Niger, Mali, Burkina Faso, Ghana, Togo and Benin are either not member of World Rugby or are not full member unions.